A . This is dependent on the environment that the application is used in. If VuPlex is applied indoors, it will last much longer than an outdoor application. The average outdoor durability would be approximately three (3) months or if the clarity or shine is starting to be lost, just re-apply. Q. How long does the can go? Q. Can I use Paper Towels to buff? A. No, Wipe off and buff with a soft clean cloth. Spraying on lightly. If the surface is new use a microfibre cloth. If the surface is old use a cotton cloth. THAT’s IT! Q. 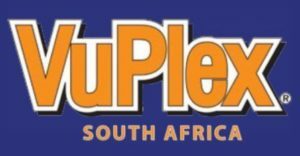 Does VuPlex contain silicone? A. Yes, but only small amounts and it is not the curing type that binds to the surface. Q. Can you use this product on the outside of a car windscreen? A. Yes you are able to use it on the outside windscreen and it is very efficient in making sand pitting less visible and acting similar to other water dispersant products, however, we don’t recommend this application due to the windscreen wipers “chattering” across the surface of the windscreen possibly impeding clarity of vision. Q. Can I still use VuPlex on my bike/car if it’s not plastic? A. VuPlex is designed as a plastic cleaner and will clean and maintain the clarity of windscreens and helmet visors and well as other hard and soft surfaces such as painted, chrome and vinyl surfaces. All motorcycles/motor vehicles have these materials. A. No, not advisable on seats as it makes the surface slippery. Q. Can I use VuPlex on gelcoat? A. Yes you can if the gelcoat is in reasonable condition. If it’s too badly faded, you will need to use a cutting compound first to remove any heavy oxidization. Q. Does VuPlex stop salt form sticking to my clears on my boat? A. Yes, VuPlex seals the surface of plastic and makes water beads slide right off. When the water dries as a bead, the residual salt crystal doesn’t stick to the surface and is easily removed with fresh water. Q. What makes my acrylic widows and flexible clears (insulglass) go milky and opaque? A. Acrylic material (Perspex, Plexiglas) is very easily scratched, particularly in marine environments where sand and dried salt crystals quickly abrade the surface if not cleaned correctly. In addition to this salt can hide in the scratches and pores of the plastic. When this salt dries coupled with micro-scratching , it accumulates and creates an opaque appearance. Q. How does VuPlex work to make plastic windows so clear again? A. VuPlex works on boat windows in 4 ways. Q. Can I use VuPlex on my depth finder and fish finder screens? A. Yes, this is a perfect application. VuPlex helps protect the screen form scratching and maintains maximum vision to the information. Q. Can I use VuPlex on my instrument fascias and high gloss wood veneers? A. Yes another great application. Q. What about vinyl seat material? A. Yes, it cleans this as well. Q. Will VuPlex remove squid ink? A. No, squid ink is extremely difficult to remove. Q. Will VuPlex remove mould from my clears? A. Yes, if the mould has not pitted the surface of the clears too badly. Q. Will it clean the top side roof of my Biminis top? A. No it is not recommended for this application. Q. Is VuPlex safe to leave on board my boat? A. Yes, the can is specifically designed to withstand the marine environment. It will not rust or corrode.